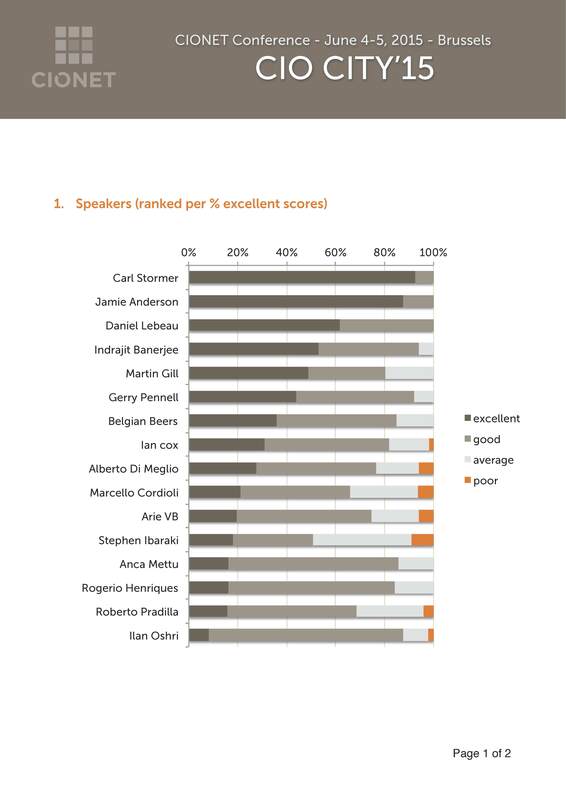 Carl Størmer was the highest ranked speaker at this two days even. Alan Webber talks about Carl Størmer´s Jazzcode after having heard Carl at Business innovation factory (#BIF9). McKinsey & Co. director Tore Myrholt about the Jazzcode: I was utterly inspired. Jazzcode is relevant for everyone in professional organizations. It is great entertainment – great in the moment and you remember it. Gordon Cairns was the CEO of Australian Lion Nathan, a public company. We both spoke at an Australian partner conference for a global accounting firm and he was kind enough to talk about the JazzCode: Highly relevant and shows the leadership model of the 21st century where leadership is shared and rotated in a team. People did not want to stop clapping. Here is the audience rating of the Novartis session mentioned above: 43% rated it “Fantastic” and 25% rated it “Very Good”. Robert D. Austin is professor at Harvard Business School and also at the Copenhagen Business School. He co-wrote the Miles Davis case for Harvard Business School together with Carl Størmer, principal at JazzCode. In this clip he talks about innovation and what we can learn from the JazzCode: It gives insight into what happens in organizations that need to innovate to survive. JazzCode helps you undertand the essence of innovation and the group process of innovation. Associate principal at the Oslo office of a leading management consulting firm about the JazzCode: “It changed how I listen to clients”. Read how a participant describes JazzCode.